How Do Sharks Sleep? Do They Dream? Cue the Jaws soundtrack and put your scaredy-cat kids to bed, because television’s most glorious week of the year — Shark Week — has arrived, running on the Discovery Channel through July 12. While this year’s schedule features all the usual hyperbolically named programs (Ninja Sharks! Alien Sharks! Monster Mako! ), there’s one subject you won’t actually see: sharks and sleep. Sharks and their sleeping habits are still very much a mystery, mainly because of the challenge of monitoring sharks for a 24-hour period, according to George H. Burgess, the director of the Florida Program for Shark Research at the Florida Museum of Natural History. “We know virtually nothing,” Burgess honestly admits to Van Winkle’s. Sharks have managed to keep their sharp-toothed mouths sealed on the subject, but scientists have identified certain behaviors. For example, many (but not all) shark species engage in a process called “yo-yo diving,” which is essentially the shark version of sleep. Most species of sharks need to be constantly moving in order to breathe, Burgess says, and “yo-yo diving” is one way for them to rest while still maintaining movement. It’s described as a process where the sharks go toward the water surface, enter a restful state and then glide downward for a period of time. It’s mostly oceanic breeds, such as blue sharks and makos, that do this. 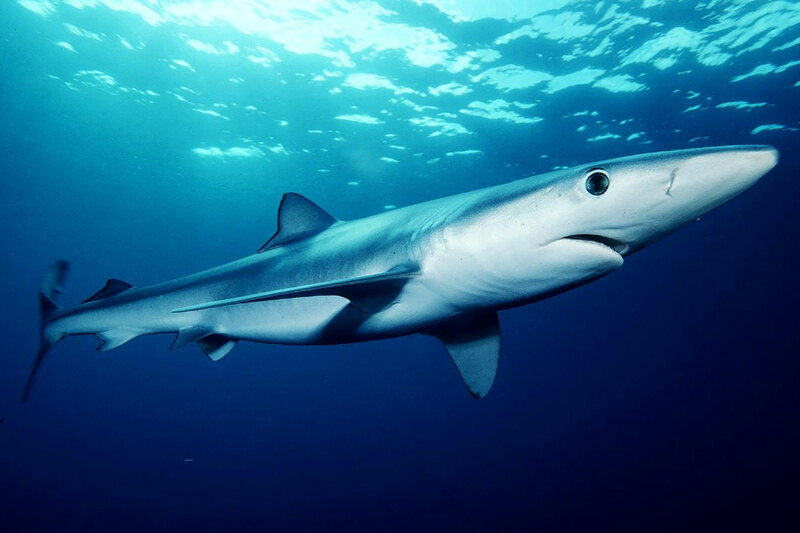 Meanwhile, many smaller, bottom-oriented sharks — nurse sharks, spiny dogfish sharks, catfish sharks — don’t need to be constantly swimming in order to breathe. “Those sharks no doubt just simply go crash on the bottom without moving,” Burgess says. Also worth noting: Sharks don’t have eyelids. “Their eyes are open, but I guess the images coming into their eyes are either ignored or simply sort of shunted to the background,” Burgess says. They “probably” don’t engage in REM or non-REM sleep. It may also be a very long time before we know if sharks have dreams, such as chewing on a tasty human or starring in Jaws 5. “I know nothing,” says Burgess, “and I’m not sure precisely how we would prove that one way or the other.